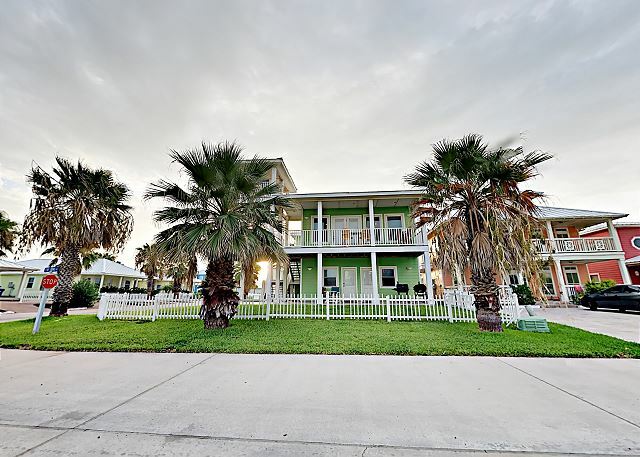 The EAGLE'S NEST BEACH HOUSE is a Beautiful and Charming 4 bedroom 3.5 bath home in Royal Sands Beachfront Neighborhood! 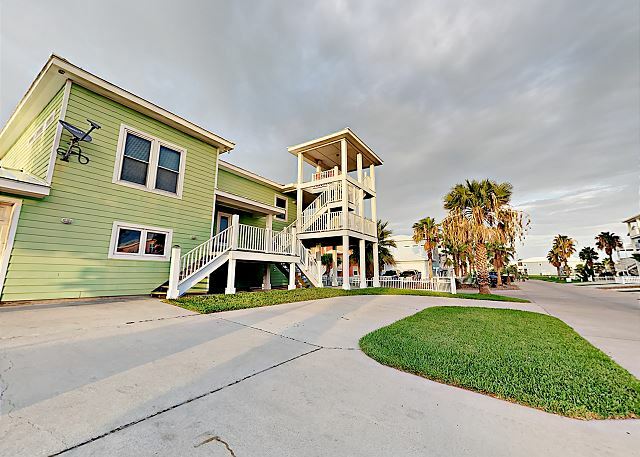 The beach is approximately a 10 minute walk away across a beautiful new boardwalk and only about 25 feet from the neighborhood pool. 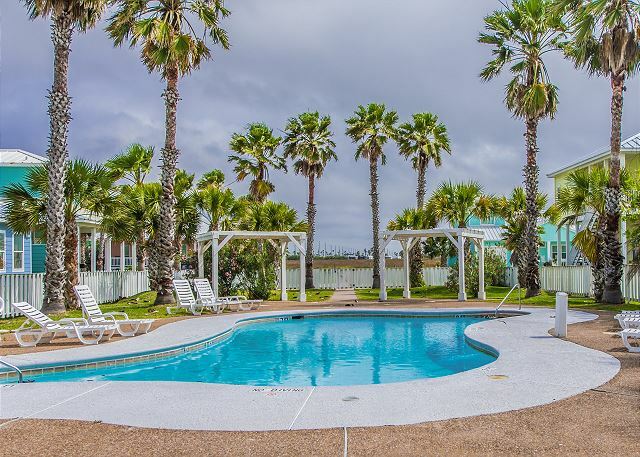 Royal Sands has two neighborhood 2 swimming pools.This home offers all of the comforts of home with all the accessories for a perfect beach vacation. 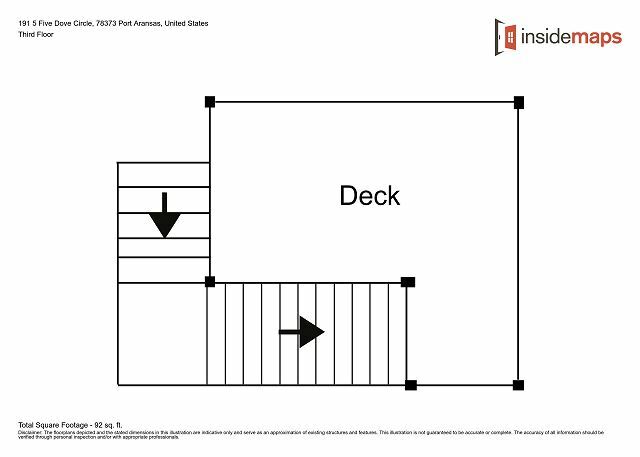 The Master Bedroom (BR1) has King size Bed,( BR2) has a queen size bed, (BR3) has 2 twins, and (BR4) has 2 full beds and twin over full bunk bed. 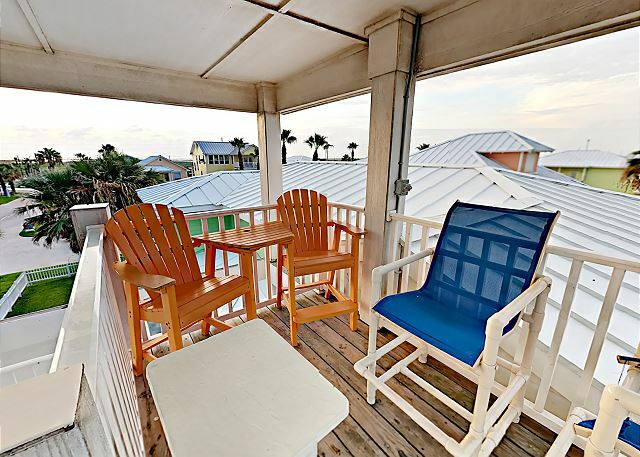 The EAGLE'S NEST BEACH HOUSE has a well equipped kitchen, including a "Magic Bullet Blender" for preparing those cold smoothies or mixed drinks, after a fun day at the beach. For those of you who just have to have the internet, a high-speed Wifi internet connection is provided. 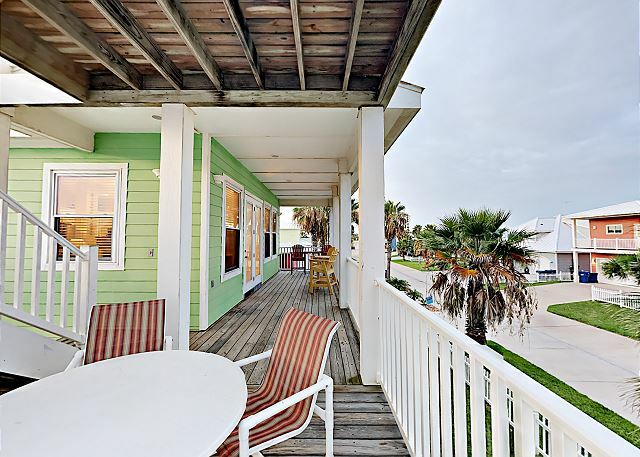 The ocean and bay can both be viewed from the second floor deck. However, the views are much better from the seating area, the "EAGLE'S NEST", on top of our covered three story tower off the deck. 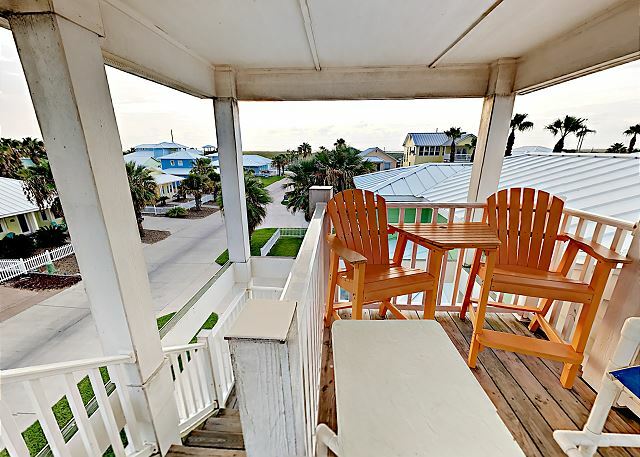 We also offer satellite TV (Direct TV), and the house is furnished with attractive beach-themed furniture. We do allow small, well behaved pets with prior authorization, our home is non-smoking, but you may step outside to smoke provided you take care of the butts and not discard on the property. 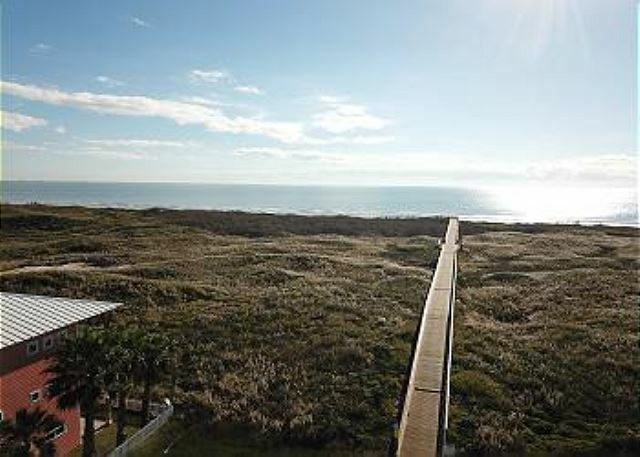 The beach is approximately a 10 minute walk away across a beautiful boardwalk that takes you across the sand dunes. 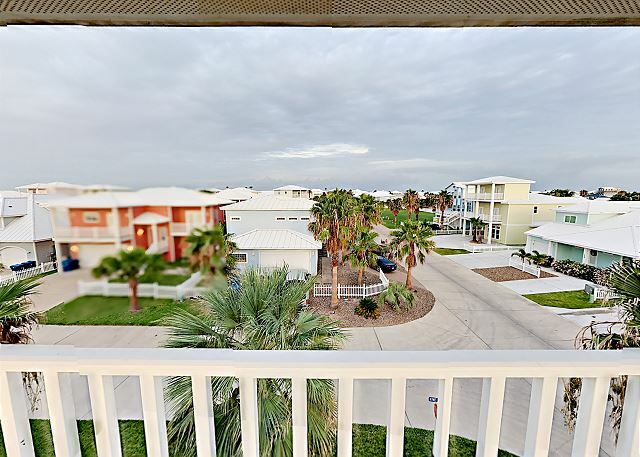 With the Gulf on one side and the Bay on the other, our guests soak up a real beach experience. Port Aransas is in the migratory path for many species of birds, affording a great opportunity for birding. Bring your binoculars! 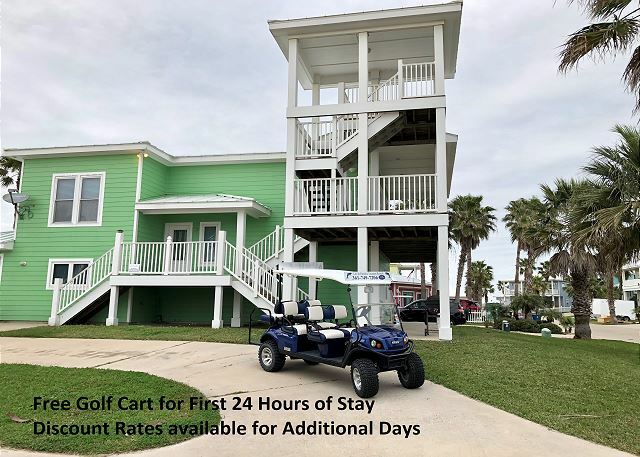 Free 6 seater golf cart for the 1st 24 hrs of your stay, additional days can be purchased. 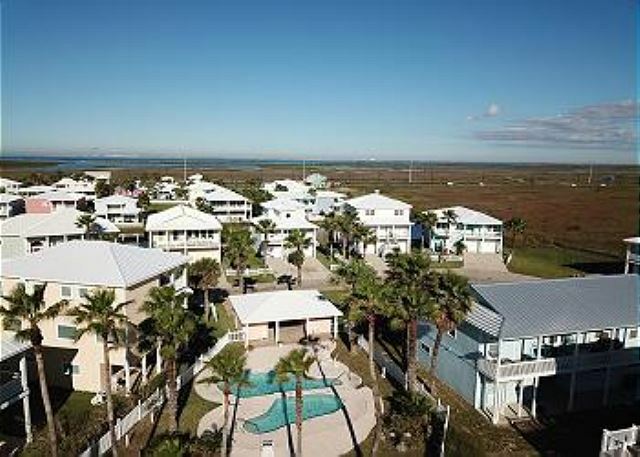 **At the EAGLE'S NEST BEACH HOUSE all boats and watercraft must be parked fully in the driveway with your automobiles. No parking on road**. 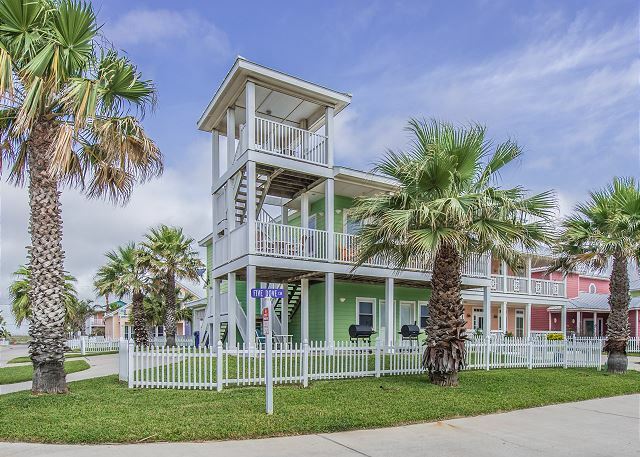 We rented to have a base to stay while we helped mother move back into her almost finished past Harvey townhouse. 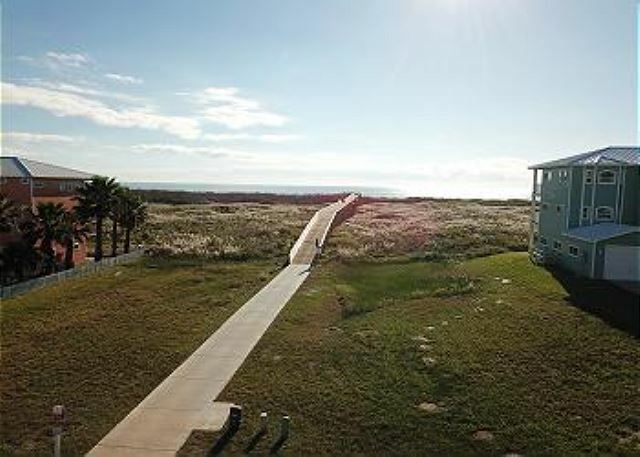 The location is great close to the pool, and a 1/3 mile walk to the beach. There were roaches, not surprising in the area, so we put the dry food in the oven. The dishwasher did a poor job of cleaning. The microwave would quit working after cooking 2 potatoes. After a long rest it would work again. The master bedroom mattress set sags badly. 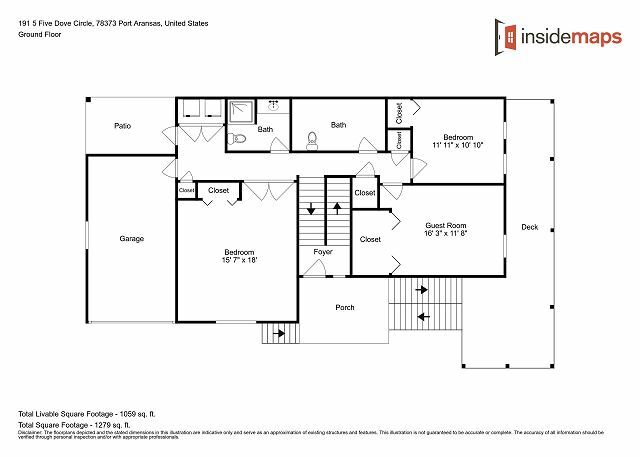 The sound bounces off of the walls in the living area like crazy, so curtains and some rugs would help. It would be super noisy with children. Since we were there to work and not for fun we stayed put. My family had such a wonderful time at the Eagle’s Nest property. The property management company provided everything we needed for our 3 night stay. The walk to the beach was lovely and the neighborhood was so beautiful- we loved all the colorful houses and well maintained properties. We are already planning next year’s trip! 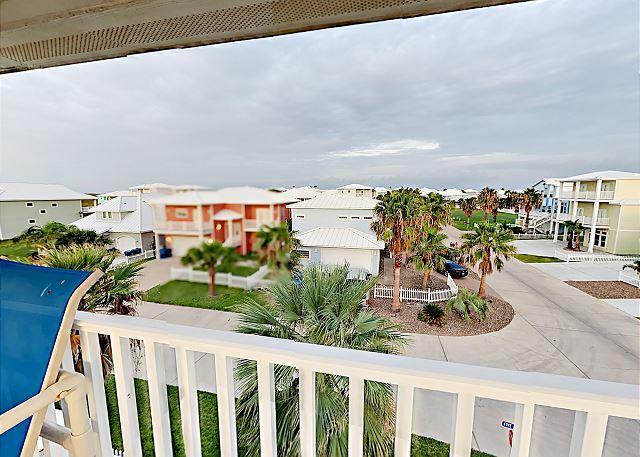 We are so happy to hear that you and your family had a wonderful time at this property. 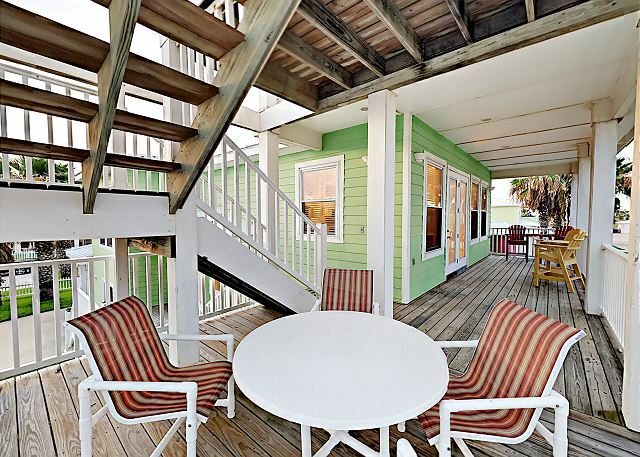 It is the perfect location to be close to the beach and yet still have a quiet place to relax. We look forward to having you again. Thank you for your review. Great for the family, we had 8 adults and there was plenty of beds to choose from. Dishwasher never cleaned the dishes completely, but wasn't a major problem. We enjoyed the location of the house, was a short walk to the beach. We are so glad to hear that your family had an enjoyable stay at this property. We are in contact with the owner now about the dishwasher not cleaning well and hope to have that resolved soon. We hope you will come back and stay with again. Thank you for the review. We had a wonderful stay here. We had everything we needed and we will definitely be back!! Perfect for a group with kids! 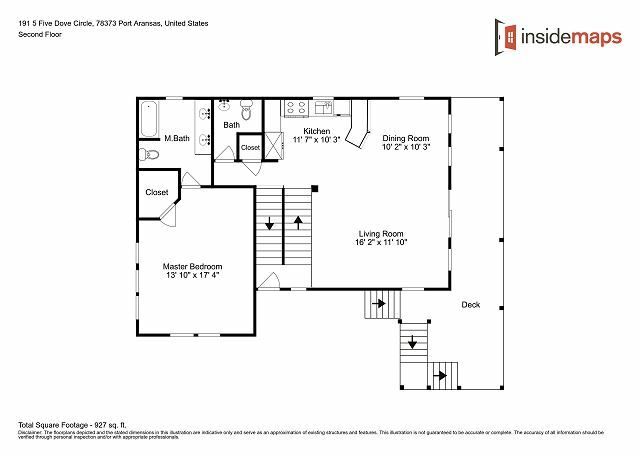 This is a great rental; awesome location, perfect amount of space for a few families with kids, and plenty of seating!!! We have rented homes that say they accommodate large numbers but then only have seating for 6-8. Eagles Nest was great for our quick weekend to Port A and this neighborhood looks like it was spared from most Harvey damage. It was a very nice place to stay . It was a cold weekend but we stayed indoors the second day/night playing games. Still had quality time with family. Thank you for submitting your review of 191 FD, we are sad to hear that the weather was not the best, we were here too and it was a chilly weekend. We are glad, however, that you were able to make the best of it and spend some quality time with your family! You are welcome to come back and see us anytime.